Beneficial State Bank, a triple-bottom line community bank, teamed with a mission-driven private equity investor; the TomKat Foundation; and Home Forward, the public housing authority for Multnomah County, to reimagine their existing Pearl District property in Portland into Framework, the nation’s first high-rise wood building. Framework’s R&D phase was supported by a $1.5M award from the U.S. Tall Wood Building Prize Competition which was sponsored by the USDA, Softwood Lumber Board, and Binational Softwood Lumber Council. 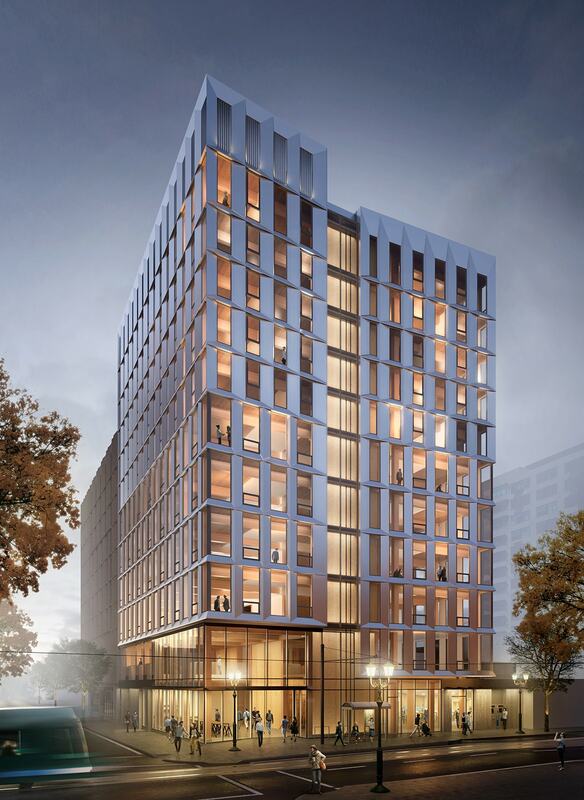 Framework showcases the innovative nature of mass timber construction, specifically Cross Laminated Timber, and seeks to develop a model for a sustainable urban ecology by promoting social justice, a resilient sustainable building, and economic opportunity thus yielding broad advancement of these objectives at a national scale.